The eighth World Public Relations Forum, held in Madrid from the 21st to the 23rd of September, is viewed in a very positive way according to the results of an official survey carried out by the Spanish Association of Communication Directors (Dircom) in which delegates and speakers who attended on a national and international scale shared their opinions. The Research Colloquium has been the best valued aspect of the event due to “the quality of its contents, its speakers and its participants”. This conference, held on the 21st of September before the main Forum sessions, was led by great professionals such as Juan Carlos Molleda, Professor and Chair of the Department of PR at the University of Florida, Ray Hiebert, Emeritus Professor at the University of Maryland, and Robert Heath, Emeritus Professor of Communication at Houston University. Regarding the program and other of the events general aspects participants have expressed a positive opinion towards the quality of the plenary sessions as well as the work of the presenter, Tania Llasera. Furthermore, speakers that took part in the survey agreed on highlighting the great work done by the Chair at each session and the audience’s attitude and participation. 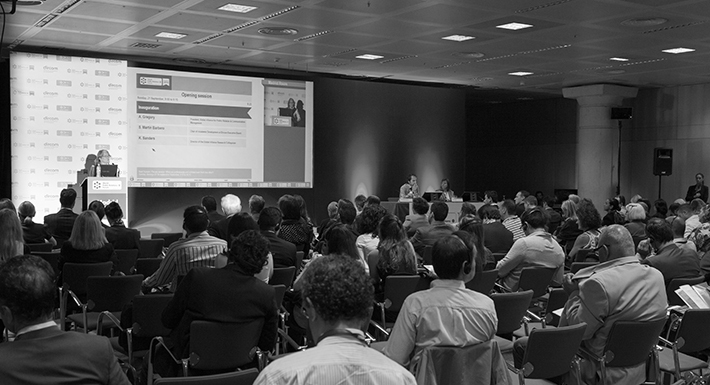 More than 750 attendees from 65 countries came to the event in which the “Madrid Momentum” was created, a document gathering the communication principles of the future. The debate regarding these principles will continue in 2016 at the ninth World Public Relations Forum in Toronto. The 608 articles generated about the event have reached an international audience of over 129 million people. 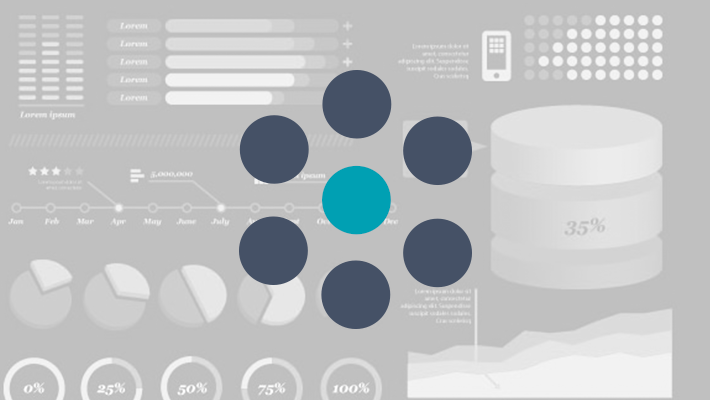 On social networking sites the WPRF has had a maximum potential impact of 49,6 million users. The World Public Relations Forum, organized by the Spanish Association of Communication Directors (Dircom) and the Global Alliance for PR and Communication Management, has been a great success not only by number of attendees, 750 people that were both professionals and communication directors from all over the planet, but also due to the impact it had in the media and on social networking sites. Specifically, 608 articles were written about the event on the Internet, television, newspapers and the radio, reaching an audience of 129 million people. Communication on social networking sites concerning the Forum exceeded all expectations. 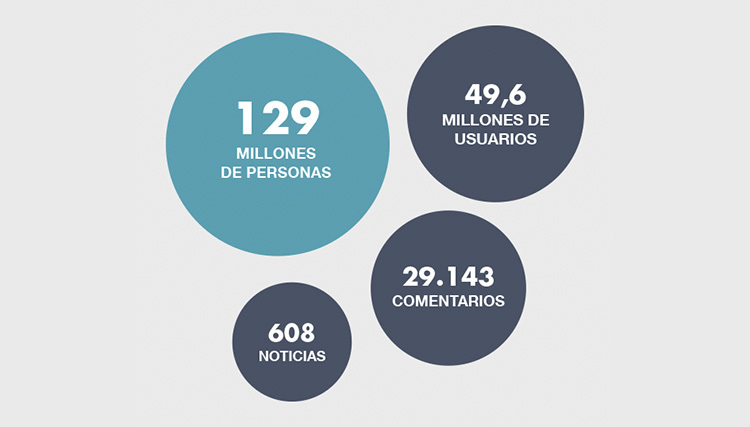 According to a study done by Alto Social Analytics the WPRF generated 29.143 comments during the last month with a maximum potential impact of 49,6 million people. One in every ten comments where associated to Spain and in particular to the city of Madrid. During its three days the Forum was trending topic on Twitter. Those who lead the activity on this site were from Spain, Canada, United Kingdom, France, México and the United States. In total over 4.925 people generated 17.376 comments with a maximum impact of 21 million, furthermore the event concentrated nearly 50% of the total impact during the last month. Experts, professionals, academics and directors in the communications industry have reached an agreement at the World Public Relations Forum 2014 (organized by the Spanish Association of Communication Directors (Dircom) and the Global Alliance on the universal principles that will lead communication and public relations in years to come. It’s been called the ‘Madrid Momentum’ and includes five statements. The first one has to do with managing communication and public relations. A task that must aspire to be a social purpose in itself, one that serves social cohesion and promotes unity between communities. The second one establishes how communication and public relations management can and must contribute towards social integration by listening, identifying relevant issues and also creating and sharing stories. All under the management in safe environments that benefits dialogue on the challenges that society faces. Also, the Madrid Momentum asks in its third statement that communication and public relations professionals be responsible in finding new ways to serve their societies in an honest way. In fourth place it establishes that when practicing communication each professional must be an authentic leader, clarifying that true leadership is the one in which transformation is achieved on a personal level but also in organizations and in society. Finally, reflecting upon transforming leadership, the document establishes that our profession can better serve companies and organizations and by doing so also contributes towards greater social development. The Spanish Prime Minister, Mariano Rajoy, has taken part in the third and last day of the World Public Relations Forum (WPRF) in Madrid, organized by the Spanish Association of Communication Directors (Dircom) and the Global Alliance for Public Relations and Communication Management, and has shown his institutional support towards communication professionals while recognizing the constant changes the profession itself is having to undergo. In addition to his gratitude towards the Global Alliance for choosing Spain and in particular Madrid as the host of this communications forum, Rajoy expressed that “no modern organization can afford to neglect its communication”. Furthermore, he reiterated that nowadays the “Spanish brand” is highly valued. Paul Holmes, CEO of the Holmes Group, alongside Trevor Ncube, Vice-president of the Mail & Guardian Media Group in South Africa, where the stars of the session as they both shared they own particular vision on “leadership through communication”. Paul Holmes highlighted leadership through action and how public relations have a consulting function inside organizations. For Holmes: “the PR product is ‘relationships’ and we must develop key tools that serve them, regardless of it being an advert, a website or any other platform”. He insisted on the importance of finding a metric that reformulates and serves to measure the impact communication has. Trevor Ncube on the other hand shared his vision on what the role of leaders should be regarding communication and through credible and valuable messages. “It’s hard to understand how someone can be a leader without communicating correctly. Therefore, we must lead through effective communication. It’s not so much about them being good public speakers as having a credible and authentic message”. Rob Flaherty, CEO at Ketchum, and John Gerzema, president and CEO at BAV Consulting, went into detail about the concept “communication with conscience”. For Flaherty “global social conscience is more than a brand, it’s what people truly think about you”. Gerzema on the other hand spoke about new metrics in communication and threw a challenge at professionals: “As practitioners we must make brands and companies contribute trust”. The key challenges professionals face in the communications industry where bought to the table at the parallel sessions. Some of them were social business, in which the employee “takes social power over the organization”; the new mobile settings; social media and video games strategies that allow interaction with the public in a more social and bidirectional way. Topics like the need to communicate with transparency, new trends like co-creations, the role of the profession in the economic recovery and the importance of media in the new social paradigm were also debated at the Forum. The closing session of the Forum was distinctively gastronomic under the title “Brands with conscience”. Ignacio Moliner, Communications Director at BBVA, presented alongside Joan Roca their latest project in Latin America in which they invested in talent, authenticity and values by educating in cooking schools. Joan Roca stated: “We were interested from the very start in getting in touch with schools to make them a part of the project”. Anne Gregory, Chair of the Global Alliance, and Gregor Halff, Chair elect, ended the Forum with some of the main conclusions of the Madrid mandate. Furthermore, during the same session the name of the next city to host the World Public Relations Forum 2016 was announced: Toronto, Canada. The headquarters of the Comunidad de Madrid received the Forum’s Gala Dinner yesterday at half past eight in it’s main courtyard. Over 400 attendees were present at the dinner that was presented by Anne Gregory, Chair of the Global Alliance, and José Manuel Velasco, President of the Spanish Association of Communication Directors (Dircom). 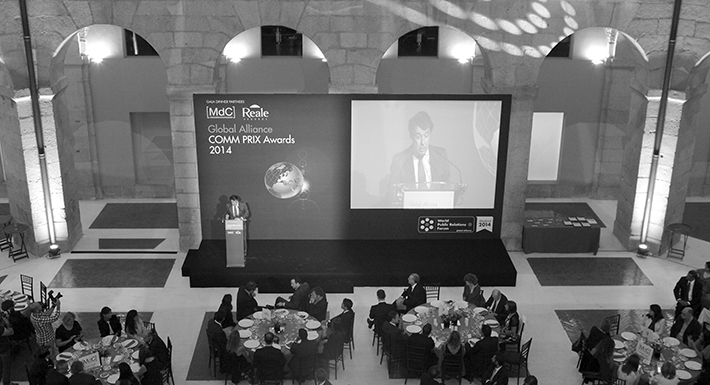 The event was sponsored by Marco de Comunicación and Reale. Ignacio González, President of the Comunidad de Madrid, welcomed the guests and highlighted in his speech communication’s present strategic character: “Communication is a strategic function that has to be part of the decision making in organizations and the public sector. Nowadays no organization can work without a strategic vision on communication”. During this meeting the COMM PRIX Awards were handed out by the Global Alliance for Public Relations and Communication Management. They are the only awards which honor outstanding performance in public relations and communication management around the world. The winners were: Alberta Blue Cross, Alberta Energy Regulator, Ambulance New Brunswick, Anz Bank, Argyle Communication, Atmosphere Communications, Bombardier, Aerospace, Catholic University of Portugal, European Trainning Foundation, Insight Communications, Kumba Iron Ore and Singapore Management University. Social conscience, content facilitator, expert in changes to news consumption and new digital supports and the role of the collaborative economy are some of the key facets of the challenge the profession faces. The first day’s session was officially opened by Carmen Martínez Castro, Secretary of State for Communication. The 1st official day of the 8th World Public Relations Forum (second day on the programme) has focused on two of the four topics of discussion at the Forum, namely, deconstructing and transforming communication. Marisa Toro, director of communications and public affairs at Google Southern Europe, Antonin Léonard, blogger and founder of QuiShare, and Jerry Swerling, head of strategic communication and public relations at the University of California took part in the afternoon session, where they explained their views on how communication is transforming. Jerry Swerling closed this session by unveiling the first GAP (Globally Accepted Practices) survey, conducted in 6 countries and focusing on globally accepted practices in the profession. The afternoon finished after discussion at the four parallel sessions, which covered areas such as reputation; corporate social responsibility; the new relationship between agency and client and measuring communication. After the opening speeches, discussion began on how to “Approach the Global Agenda” in which Martina Larkin, Anthony Gooch; Peggy Liu and David del Val Latorre took part. Carmen Martínez Castro, the Spanish Secretary of State for Communications, has officially opened the 8th World Public Relations Forum at 10:00 this morning. 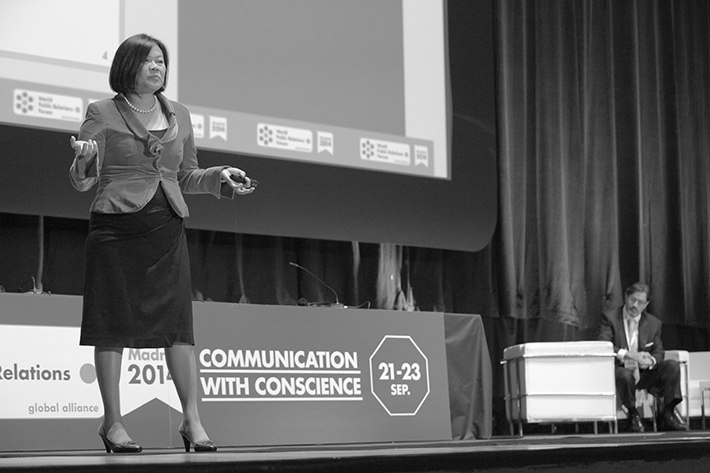 This assembly is the largest international event for communication professionals and is being held for the first time in a Spanish-speaking country, hosted by Dircom and the Global Alliance for Public Relations and Communications Management. More than 700 professionals from 65 countries have met in Madrid to share, discuss and build together the foundations of the industry moving forwards. Moreover, Carmen Martínez Castro indicated the Spanish government’s support for the industry in her opening speech. 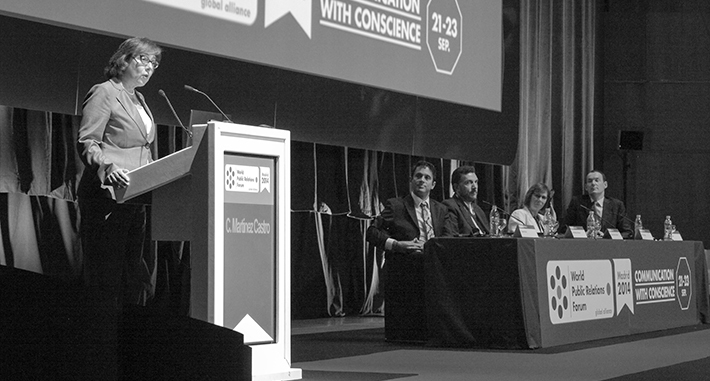 José Manuel Velasco, president of Dircom, Anne Gregory, chair of the Global Alliance, and Daniel Tisch, former chair of the Global Alliance, also took part in the opening session and invited delegates to approach the global agenda from the point of view of conscience. The first panel of experts, comprising Martina Larkin, Senior Director of the World Economic Forum; Anthony Gooch, Director of Public Affairs and Communications at the OECD; Peggy Liu, Chairperson of JUCCE –China, and David del Val Latorre, Chairman and CEO of Telefónica R&D, continued analyzing how to tackle the Global Agenda. Martina Larkin, Anthony Gooch; Peggy Liu, David del Val Latorre. Peggy Liu focused the discussion on the relationship between communication and the environment: “it is important to learn to create collaborative leadership” and urges philanthropists and leaders to cooperate on climate change. The World Public Relations Forum, the prestigious international bi-annual public relations and communications event, has kicked off today on Sunday, 21 September, with the academic session inaugurated by Anne Gregory, president of the Global Alliance for Communication and Public Relations Management, Samuel Martín-Barbero, spokesperson for the Board of Dircom, and Karen Sanders, president of the Association of Political Communication and director of the Forum’s academic session. Today’s session has focused on contributions from the academic and university world. Professors and researchers from the field of communications from across the globe have discussed the different environments and facets involved in “Communication with conscience” at nine workshops/roundtables concentrating on specific themes in order to identify and analyze the challenges communication faces in the 21st century. 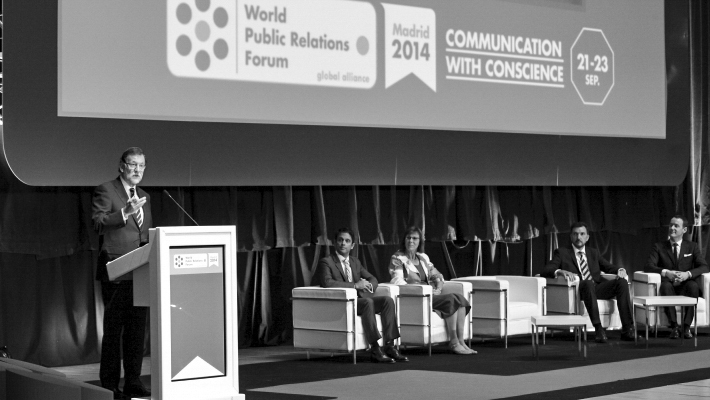 The WPRF 2014 is being organized by the Association of Communication Directors (Dircom), together with the Global Alliance for Public Relations and Communications Management, and will discuss in Madrid the major trends and challenges the corporate communications industry faces worldwide. The afternoon sessions will deal with themes such as “Developing conversations in a globalised world” or “The role of public relations in society”. The World Public Relations Forum, prestigious biennial event on public relations and communications on a global scale has started today, Sunday the 21st of September, with the Research Colloquium inaugurated by Anne Gregory, President of the Global Alliance, Samuel Martín-Barbero, academic representative of the Spanish Association of Communication Directors (Dircom), and Karen Sanders, President of the Association of Political Communication and Director of the Research Colloquium. The colloquium stands out due to the participation of academics and universities. Professors and researchers in the field of communication from all over the world will debate about the different settings and phases that make “Communication with Conscience” in 9 workshops/round tables focused on key aspects that will allow a better approach towards the challenges that communication faces in the 21st century. The first round table named “What can professionals and scholars learn from one another?” will be chaired by Ricardo Gómez Diez and will also include the participation of Juan Carlos Molleda, professor and chair in the Department of PR at the University of Florida. The plenary session “Communication with Conscience” will be chaired by Gregor Halff and will also include emeritus professors Ray Hiebert of the University of Maryland and Robert Heath of the University of Houston. The closing session will be about “Corporate and Social Consciousness in Public Relations” and will be led by Judy VanSkyke Turk with Sandra Duhé of the Southern Methodist University. 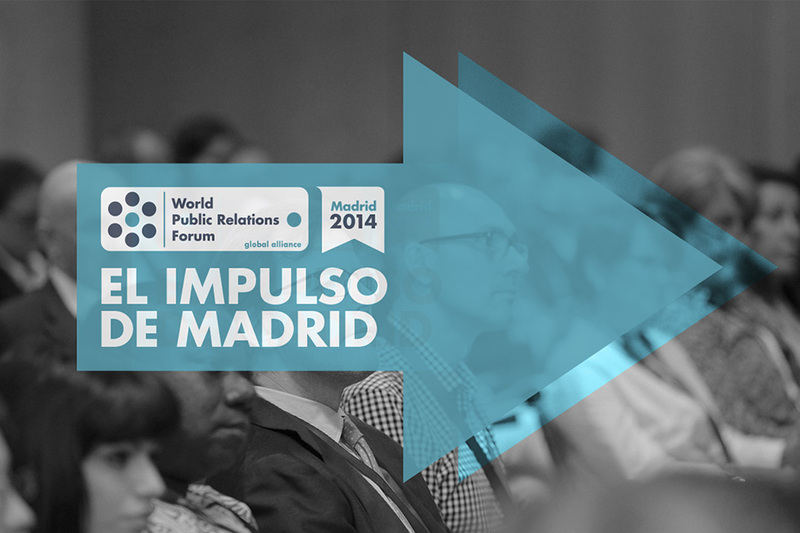 The World Public Relations Forum (WPRF 2014) is being organized by the Spanish Association of Communication Directors (Dircom) alongside the Global Alliance for Public Relations and Communications Management and will address in Madrid the global trends and challenges facing the corporate communications industry. 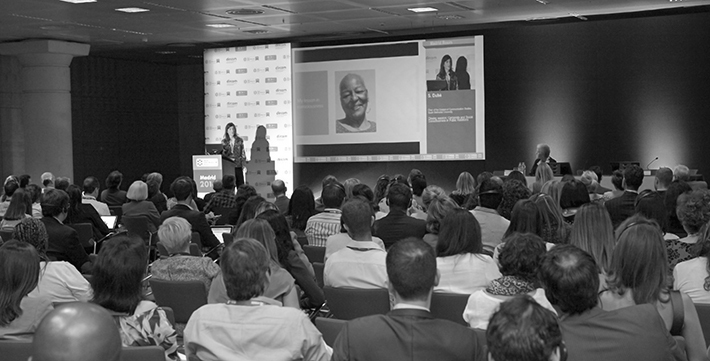 The World Public Relations Forum, organized by the Spanish Association of Communication Directors (Dircom) and the Global Alliance for Public Relations and Communication Managment, has confirmed attendance for over 600 professionals from more than 60 countries in the 5 continents. This 8th edition, the first to be bilingual, stands out due to the high number of attendees coming from all over the world and from interesting countries as far as Azerbaijan, Mauritius, Singapore, Malaysia and Swaziland. Nazim Safarov is an employee at PASHA Holding in Azerbaijan and will be one of the many professionals to travel long distance to attend the World Public Relations Forum in Madrid. He firmly believes that the event will offer the opportunity to learn from other professionals how to be seen and heard in an overfull marketplace. “As a second-time participant, I feel the WPRF is a unique opportunity to gather feedback and wisdom from around the world” states Javed Bolah form the British American Investment company in Mauritius. “Coming from a multicultural ecosystem I realize it is increasingly obvious that communication sophistication has reached its limits and it might be timely, in such volatile times, to move away from strategy”. On her behalf, Mary Lee from the National University of Singapore will attend the Forum because she believes it’s “a precious opportunity to listen and meet some of the world’s leading communicators in the professional and academic arenas”. She is interested in all the Research Colloquium topics but especially those ones that are about communications co-creation and co-construction in organizations. Sarifah Nadiah, employee at Multimedia Development Corporation (MDeC), will come to Madrid from Malaysia to attend the forum’s sessions: “This will be my first time participating in a forum of this magnitude. I’m very excited”. In her opinion the chance of networking with high caliber public relations professionals will be highly valuable for her career. She also states that the session she’s most interested in is the one that will debate about the digital challenge inside global agenda. For Sifiso Dhlamini of Swaziland the most interesting session will be the one that’s about how the best leaders understand the power of communication and the responsibility of using it wisely and ethically. He says he will provide the World Public Relations Forum with his experience as a journalist in his country as well as in his current job at the Swaziland Electricity Company.